The mediocre teacher tells. The good teacher explains. The superior teacher demonstrates. The great teacher inspires. – William Arthur Ward. Have you employed a mentor to help you navigate the professional world? Maybe you found her during your first job search; perhaps it was when you transitioned careers. Either way—your mentor most likely provided guidance and helped you overcome challenges. And if you’re really lucky, she inspired you along the way. So, if you’ve ever had a mentor, you might want to think about paying it forward. “Mentoring—or at minimum connecting with a variety of people in all industries and age groups—has never been more important,” says Pamela Ryckman, author of Stiletto Network: Inside the Women’s Power Circles That Are Changing the Face of Business. But it’s a big responsibility. As a mentor, you’re someone who knows something your mentee doesn’t, and you care enough to help them learn and succeed. Listen. One of your jobs a mentor is to provide advice and encouragement, but in order to do so, you need to make the time to listen and understand the situation, Kahn says. Have your own mentor(s) and network.Today, the most successful people build relationships and gather intelligence from a wide variety of experts in all industries and age brackets, Rychman says. “People who are insular—who always return to the same small circle for advice and support—become closed off from opportunities.” In order to be the very best mentor, you need to continue building your network and taking advice from those you trust. Be a role model. As a mentor, your actions are being evaluated, so you must set the bar for yourself just as high, or higher, than you’d expect from your mentee, Kahn says. Care about the relationship. “Invest yourself in your mentee and you’ll get so much more out of the experience,” Kahn says. 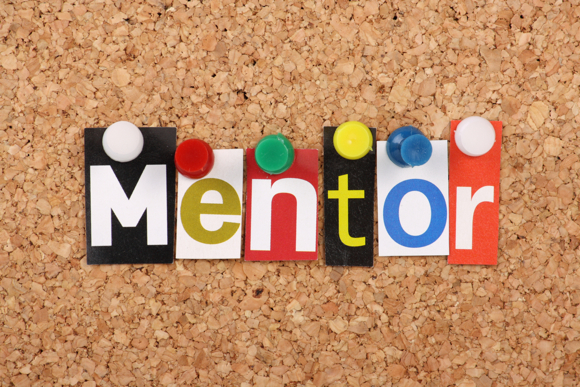 “Mentees are usually eager, invested, and can be a bit vulnerable, leaving them to hang on your words and to pay close attention to, well, everything you do,” Parnell says. “Few things are more demotivating than ‘phoning in’ your time and efforts; it takes a sincere interest in the betterment of your mentee to avoid this. So, if you can’t muster a sincere desire right from the beginning, you’ll do better to find a more suitable fit, because you may do more harm than good,” he concludes. ← Will You Resign So That Your Husband Can Be Employed In Your Organization?